Create a project using mint, pink, yellow, and white! You have TWO WEEKS to play along - Deadline to enter is Friday, March 3rd, 2017 at Midnight CST. The winners will be announced on the NND blog the following Monday. Are you ready to play along and get your paws inky? Several of our Design Team Members decided to play along - check out all the awesome cards they created, inspired by this fun color palette ! Read the description below each card to see who made it. Jess Gerstner created a birthday card with a soft pink sky for the flying Newton from Newton Dreams of Paris and the sentiment is from Simply Seasonal. 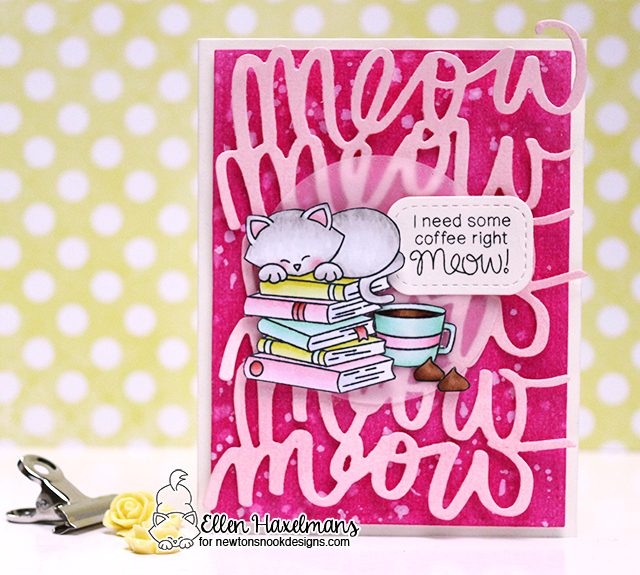 Ellen Haxelmans made an sweet card featuring a whole bunch of adorable sets including Newton Loves Coffee, Newton's Book Club, and Love & Chocolate stamp sets. 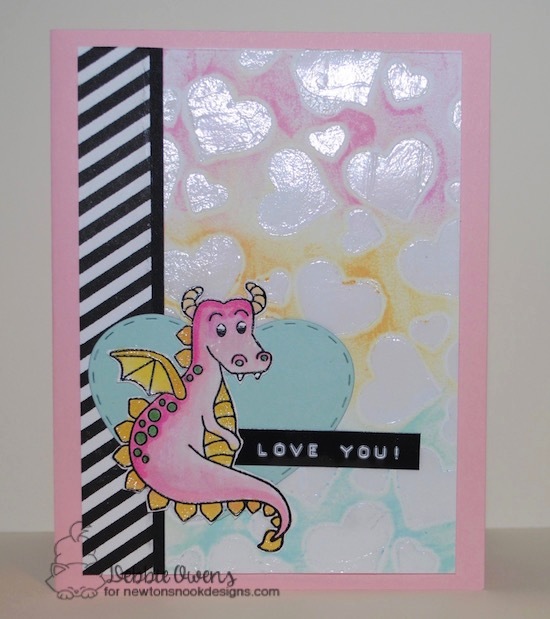 Debbie has created a fun pastel heart background with this cute dragon from Magical Dreams stamp set sitting on the heart from the Darling Hearts die set. 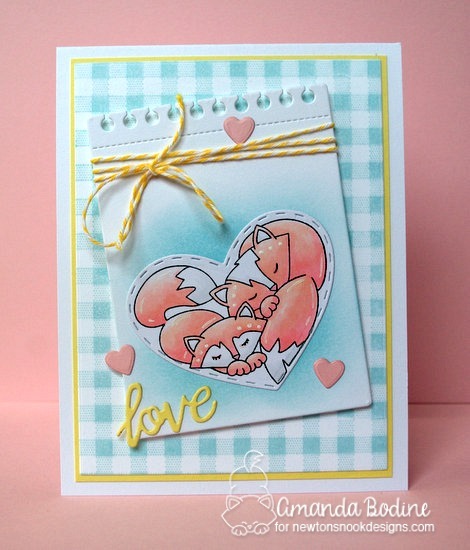 Amanda Bodine made an adorable love themed card using the Darling Duos stamp set and Darling Hearts die set. This sweet card from Samantha Mann features the bunny from the Hoppy Days stamp set. Maria Russell created this soft beautiful card with the Sweater Weather stamp set. 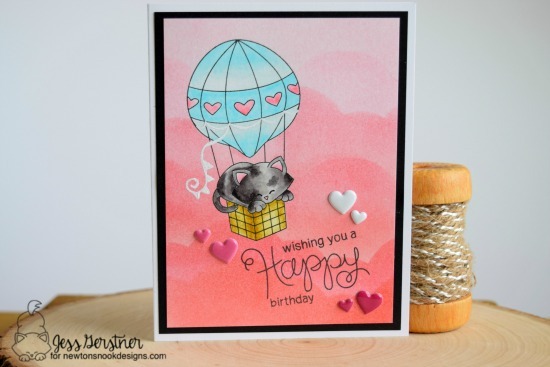 This gorgeous clever card from Tatiana Trafimovich features a 3D heart balloon using the Darling Hearts die set and Newton Dreams of Paris stamp set. Oh my! Great cards by everyone! 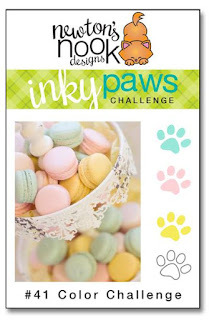 Adorable amazing cards and really inspiring colors to play with!!! Gorgeous color palette! Thank you! Thank you, Jen! It's working again now! I just linked up my card. It must have been a system-wide problem - none of the linkies anywhere were working. I've been checking periodically and they just came back up.